Aroma of Fragrance Have a pleasant sensation as graded cotton bed sheet blended with an aromatic block and creating a special moment. The mixture of two color- white & purple creating a calm & serene ambience in the bedroom. Offering a fine & crisp look as this is 300 thread count bed sheets. Imbibing the Nature’s Freshness Floral are the best option to explore in order to reflect the liveliness and fresh aura of nature in the living room. Their presence is evergreen that gets blended well with all type of theme decor to assure an attractive and pleasant vibes to personal space. Creation of Heavenly Ambiance with Pure Linens Purity is best reflected in the shades of white and when it is blended with streak of light blue, they engage a heavenly and pristine aura to the setup. User must experience most soft touch in the embrace of multicolour bed sheet online from Swayam India. This sheet would surely soothe you and enhance your sleeping experience. 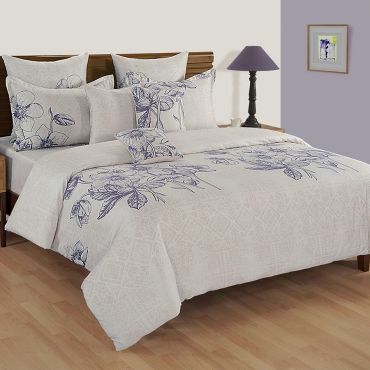 Passionate Love Remember your love in the presence of lilac graded cotton bed sheet. It symbolizing the spirituality, love and passion too. Inspired by lilac flowers the tone of shades has been spread. 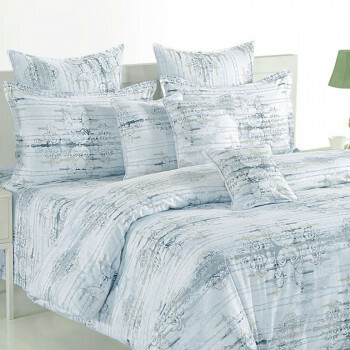 These 300 thread count bed sheets offering a graceful fall and offering a stylish look to the bedroom. We have launched our new bed sheet collection that is most adequate to spread the vibes of celebration in the living space. The features and appearance are given to make perfect cheerful bedrooms for turning the living happier and joyful. You may easily avail this multicolor bed sheet on online portal. Printed in colorful prints and designed by mesmerizing patterns, we have mainly focused to make rooms lively with its characters. Luxury is infused and defined wonderfully with the intricate work of 300 TC. These 300 thread count bed sheets are manufactured by high end cotton fabrics to serve consumers with best of comfort. Thus, the royalty is redefined in living space with owning these high graded cotton bed sheets. The combination of colors is chosen keeping the concept of celebration on the top of the strategy of its making. This luxury bed linen sets has not designed to fill only joy and fun in the rooms but also charm and luxury with it’s built and look. Colors used in its manufacturing are totally fade-resistant and thus make it most easy to maintain the product. It is found appropriate for machine wash with gentle spinning. Resultantly, we have brought a perfect piece for your dream bedding that provides value for money.